Scientists have created the neuro-chip, a first in history. It is a silicon chip fused with brain cells with ionic currents that interact with the electronic current with the silicon. The scientists used thousands of electronic transistors and hundreds of capacitors on a 1 millimeter chip. 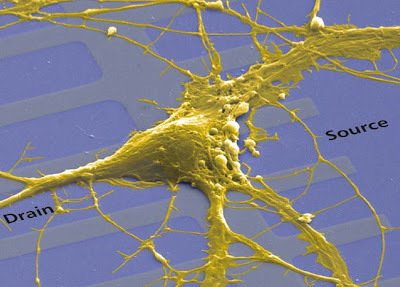 Special brain proteins were used to attach the neurons onto the chip. This protein also served as the electrical conduit between the chip and the cells. Researcher Stefano Vassanelli says the chip can be used to test the effect of drugs on neurons. They also want to see if the neurons can be used to control the chip. 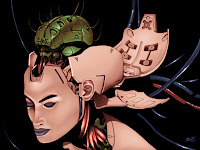 This new technology conjures images of cyborgs with half their brains made of silicon chips. The neurons used in the experiment were from rats. Would You Like to Skydive from Orbit? Deaf "Castaway" Gives Birth to "Chat Line"
What Happens When Two Galaxy Clusters Collide?